A burglary suspect led police on a road chase from the East County to the South Bay Wednesday before getting into several traffic accidents, abandoning his banged-up car and making a failed attempt to escape on foot. 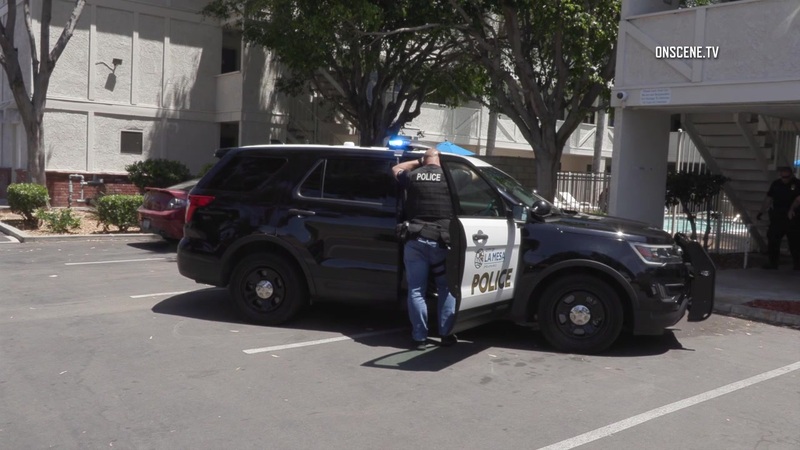 The pursuit began shortly before 1 p.m., when officers responding to a reported home invasion in the 5700 block of Cowles Mountain Boulevard in La Mesa spotted the suspected perpetrator leaving the area in a black Honda Fit sedan, La Mesa Police Department Sgt. Katy Lynch said. The patrol personnel followed the suspect, later identified as 34-year-old Brandon Loeb of Chula Vista, onto westbound Interstate 8 from Lake Murray Boulevard and tailed him until a sheriff’s helicopter arrived overhead to assist in tracking him, Lynch said. After tailing the Honda onto Interstate 15 and then Interstate 5, the officers tried to pull Loeb over. Refusing to yield, the suspect continued on to the south through central San Diego, according to Lynch. Reaching Chula Vista, Loeb exited onto E Street, where he got into two collisions in quick succession, police said. He then turned into a parking lot outside a motel, pulled to a stop, jumped out of his car and ran off. Officers caught up with the suspect and arrested him following a brief foot pursuit. Loeb was booked into county jail on suspicion of burglary, evading arrest and being in possession of stolen property.